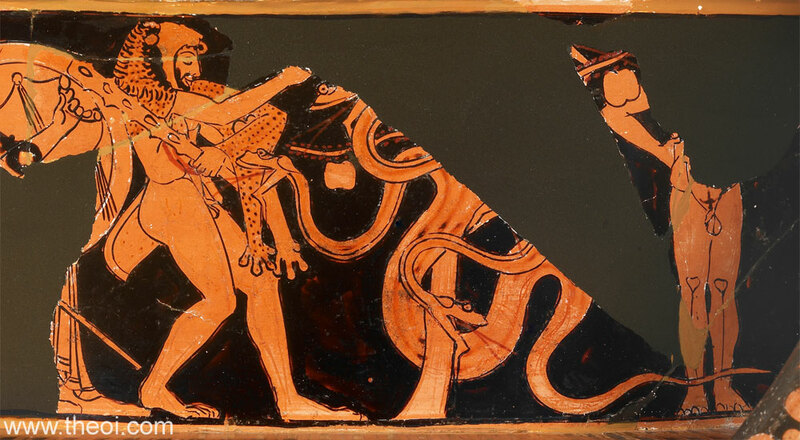 Side A: Heracles battles the guardian Dragon of the golden apples of the Hesperides. The hero wears a lion-skin cape and brandishes a club. The many-headed serpent is coiled around the tree. On the far right the Titan Atlas bears the weight of the heavens upon his shoulders. Side B: Peleus and Thetis (see other images).